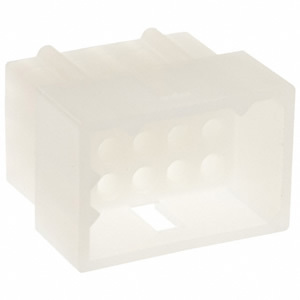 If you are missing the 15 Pin Male Molex Plug that plugs into the rear of the TK-931 they can NO LONGER be ordered from Digikey as they are discontinued by Molex. 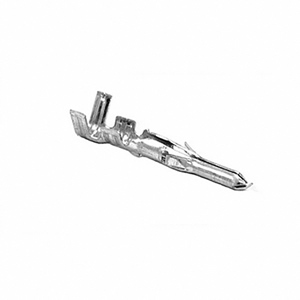 If you are trying to track down the Kenwood TK-931 power cable connectors and pins so you can make your own power cables you could have gotten them from East Coast Transistor or Pacific Coast Parts- they are no longer available. The power connectors on the TK-931 were manufactured by JST and they were a unique Kenwood connector. The squelch on the TK-931’s is a comparator circuit. 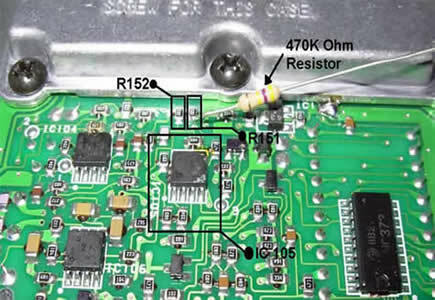 This can be modified to have even better sensitivity by adding a 480K-Ohm resistor to R151 where it connects to pin 5 of IC105. After adding the resistor the squelch setpoint might need to be readjusted using the VR1 potentiometer. Adjusting the squelch circuit is performed by adjusting VR1 clockwise to raise the squelch threshold (this pot varies the reference voltage for the CPU so it will know when to turn on or off the squelch circuit). Make all adjustments in very small steps, and be sure to increase or decrease the squelch threshold on a frequency without tone squelch enabled. 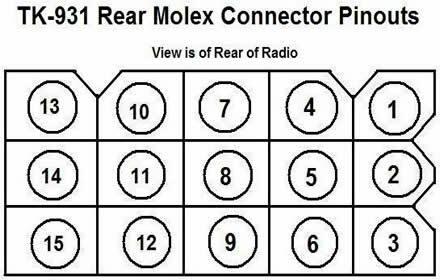 Once a small adjustment is made to VR1 the radio must be powered off and then back on again, this must be done every time an adjustment is made until there is no open squelch heard. The goal is to have the squelch pot set as low as possible without opening up. Serial DB-9 KPG-4 Programming Cable OR a USB KPG-4 program cable as well as the program DOSBox to run KPG-5D. To convert your TK-931 15 Watt, 24 Memory, Numeric Display only radio into a TK-931D 15 Watt Alpha-numeric Display Radio with 100 Memories is easy! You will need to dig up a Alpha-numeric display, these can be found for cheap by acquiring a used TK-930HD (800 MHz) or a dead TK-931HD. If you do find a TK-930HD or dead TK-931HD you can remove the 8-pin DIP Xicor X24C16P EEPROM from it and use that in the normal TK-931- otherwise you will have to source one from the many electronic parts companies off the internet such as Mouser or Digikey, etc..
With the radio unpluged from your power source, remove	your existing Numeric-only display from the front of the radio by removing the 2 screws on either side of the radio that hold the front panel in place to the body of the radio. Once the display is removed unplug CN2, the 16-pin cable attaching the display to the main body of the radio. Attach the Alpha-numeric display and plug in the 16-pin CN2 connector harness. 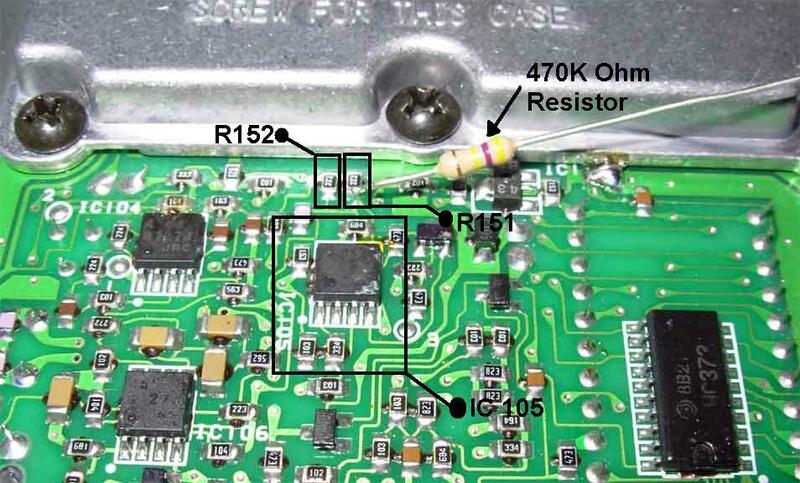 Remove the top cover of the radio and towards the front right side of the radio is the large EPROM (NM27C256Q) and 93CS66EN EEPROM (93CS66EN Datasheet). Next to the 93CS66EN EEPROM is a empty 8-pin DIP slot, we are going to install our Xicor X24C16P EEPROM in that empty 8-pin DIP slot. 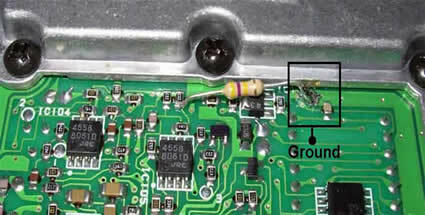 Install the Xicor X24C16P 8-pin DIP in the empty slot as pictured, ensure pin 1 is positioned correctly and that none of the pins are bent or damaged when you insert the IC. Reinstall the top cover of the radio and power on the radio while holding down the "A" button to place the radio in program mode. Run KPG-5D and on the top menu select the radio you are going to program by going to "MODEL" and then selecting "TK-931 (D)/(HD)". Write a blank .f90 file to the TK-931 you have just converted, the program will state "Model Type Mismatch: Overwrite?" select Yes, and write the file to the radio. Congratulations! You now have a TK-931D 10 System/10 Group Alphanumeric display radio! This radio can now be programmed with Kenwood Burn.